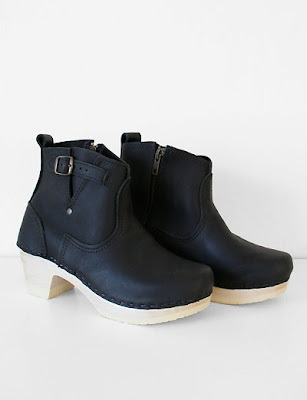 Rachel Comey-ish, these are from No. 6 and still fresh at Creatures of Comfort! I agree with all the comments - not ugly! Awww, thanks for validating my pick you guys! Btw k604bc, hope you get your swedish hasbeens! The leather looks so supple, and they're very cute! I've had my eye on these eversince I saw Michelle Williams wearing them (lookslike they're the ones she's wearing, not really sure). I love her style. Now, I know where to get them. Thanks, much. maybe they are ugly but they have an adorable nature! I agree with the all comments, this is not ugly. Actually, I love her style and i really love your photography, very stunning! You're welcome Saoirse! Happy to help! Heehee! Yes! Very adorable Rachel! Oh wow, I just realized, my other replies got deleted somehow! k604bc - have you gotten your swedish hasbeens yet? chryztyners and a loopy life - definitely not ugly, why have I been convincing myself it was? I caved in eventually and you're right chryztyners, they are very comfortable! Thanks for the help on the sizing Eunice and I love your IM booties! Saoirse! This is the exact same pair as Michelle W's and she does look adorable in these! Heehee, Rachel they are very adorable! And goes with everything I own!